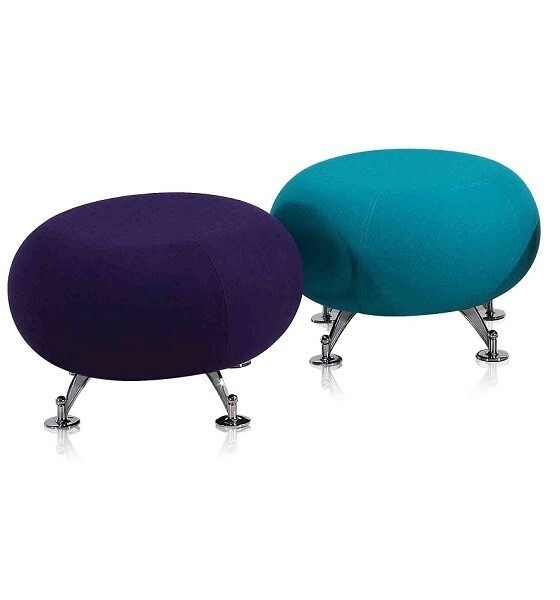 The Radius Ottoman is a funky addition to any soft seating space. 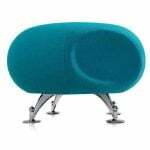 Featuring Space age retro Chrome Legs, the Radius can be upholstered in any fabric The Radius Ottomans can nestled together by grouping the Radius 1 and Radius 2! To order multiple units of the Radius Ottomans in the fabrics/colours and combinations of your choice, contact the Seated Sales Team. 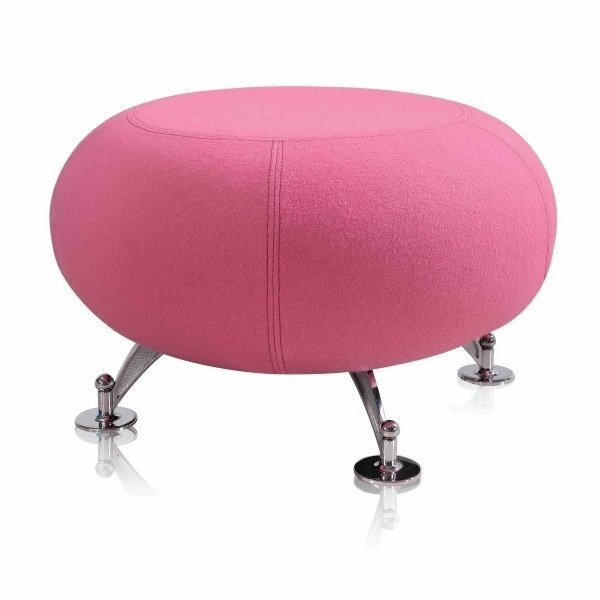 The Radius Ottoman is stylish and tough, constructed with a Plywood frame and a moulded polyurethane foam inner. 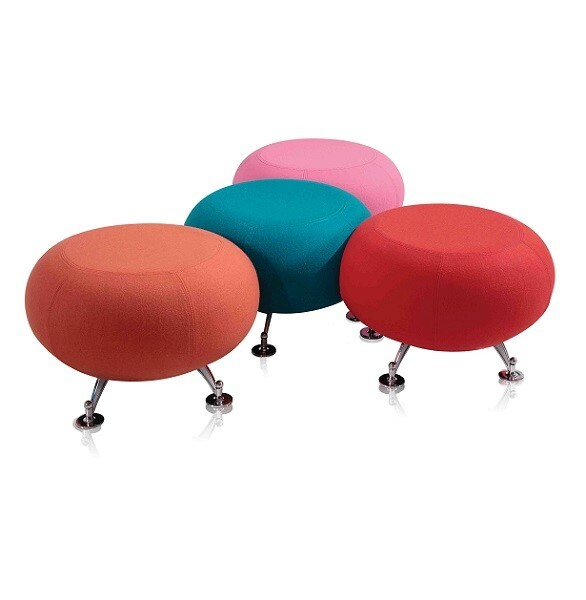 The ottomans nestle together via a cutout in the Radius 2 and all styles are available in all local fabrics. 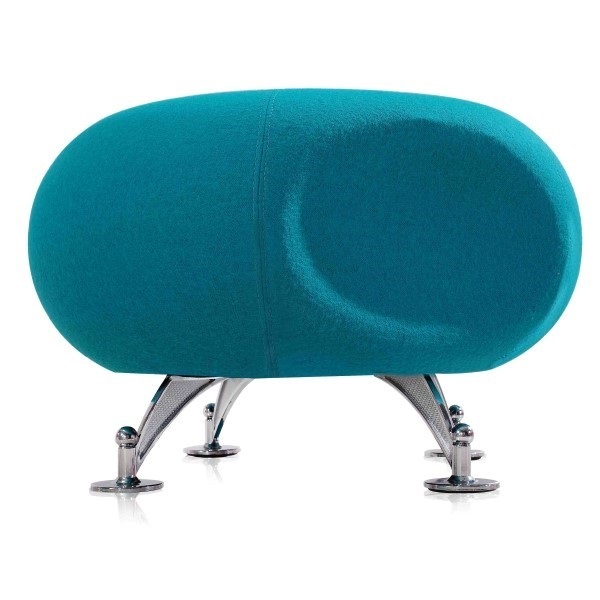 The Radius Ottoman has retro chrome legs for a funky Space Age design and comes with a 3 year warranty.